Duncan loves pretty much everything about bedtime except for actually going to sleep. While he has many, many strategies to avoid the sleeping aspect of bedtime, his mom has a few tricks up her sleeve too. When Duncan can’t think of another excuse, he decides to start counting sheep. In a clever twist, Sheep #68 has a lot of reasons why just can’t jump over the bed yet, and Duncan gets a taste of his own medicine. Humorous, and very relatable. Kids will enjoy Duncan’s predicament while parents will delight in the irony. 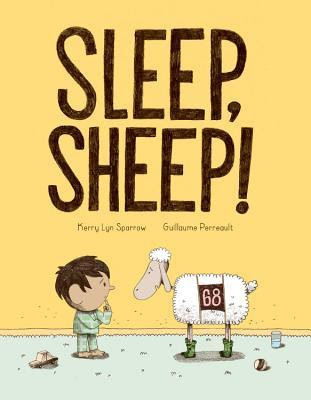 If you’re interested in reading Sleep, Sheep!, you can purchase a copy here on Amazon.